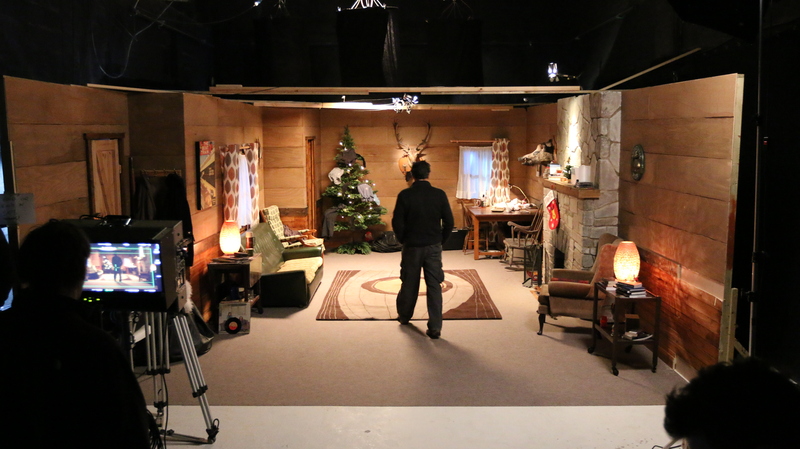 Studio 1 has enough space for sets, props and crew. 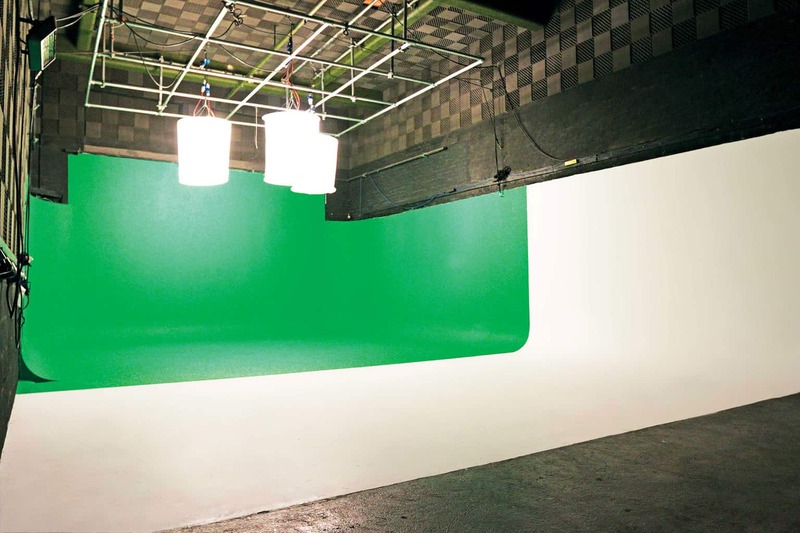 Perfect for greenscreen film, video, set-builds, music video productions, corporate videos, seminars and the studio production of small movies for TV. 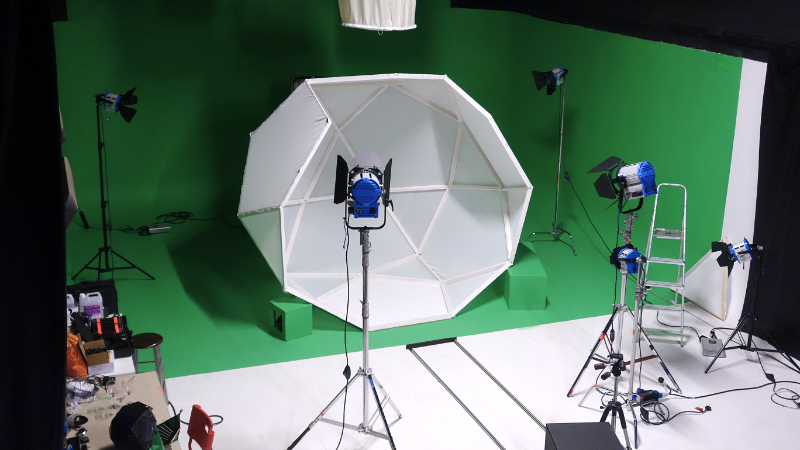 1,300 sq ft (121sqm) film and video production studio with a 7.15 metre wide stage area. Full green infinity curve on three sides as standard. The studio can also be draped blacked or painted white by request. 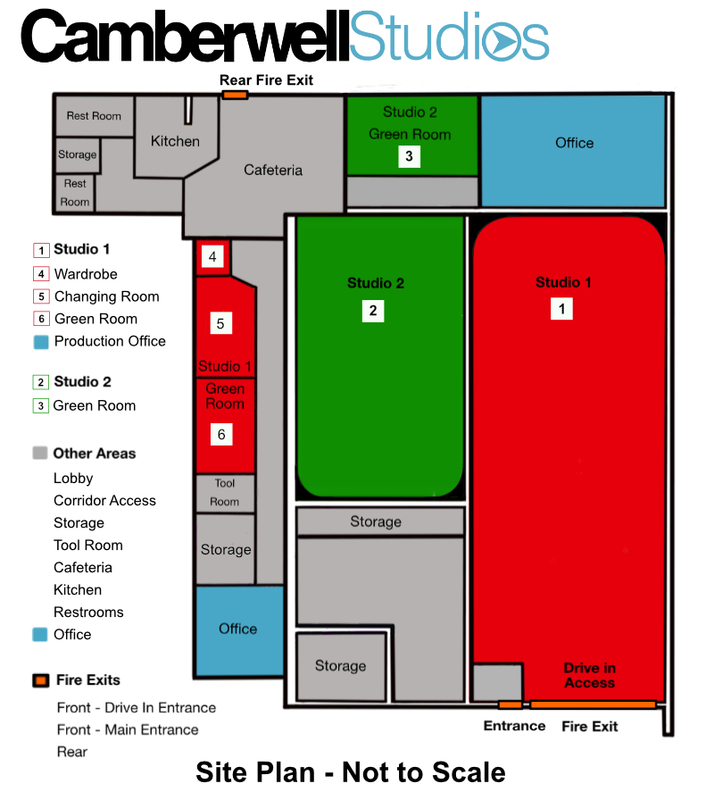 Studio 1 is 16m deep with a 7.15m wide stage area with infinity wall. Drive-in access – for shoots using cars, plus easy deliveries. Plenty of space for props and crew. Use of flats and wood and tools for simple set and prop building. Painted in green as standard. We can easily and quickly drape the floors and walls in black. Repainting (by arrangement) to white is possible with notice. PERFECT STUDIO SPACE FOR MUSIC VIDEOS, SHOOTS USING CARS & LARGE SET BUILDS. 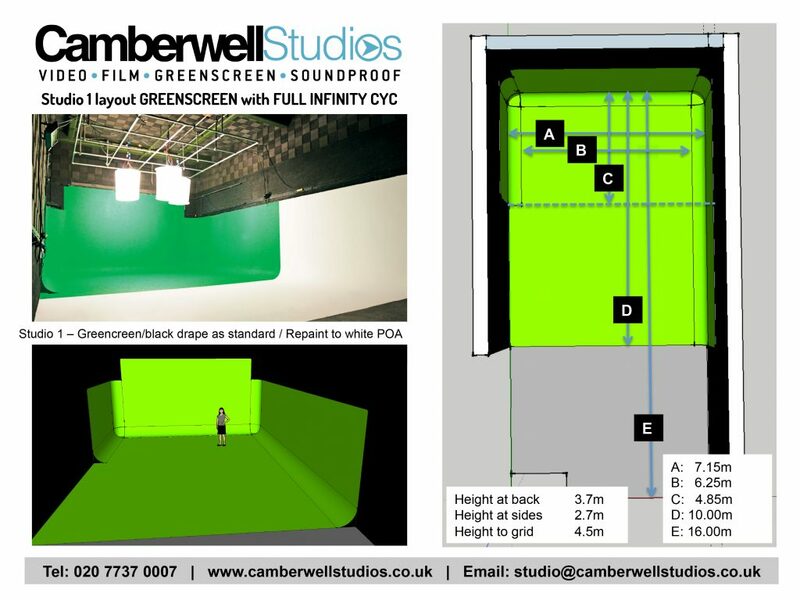 Our greenscreen studios are great for corporate ads too with lots of room for production staff to set-up desks, connect to WIFI and be part of the production process. Painted in green as standard, we can easily and quickly drape the floors and walls in black. Repainting (by arrangement) to white is no problem (but usually an overnight job). And we’re FLEXIBLE too. Over the years we have hosted productions that have included pyrotechnics and fire (within reason! ), water, stunts and animals, lots of smoke and even paint guns. We pride ourselves on a friendly relaxed approach to helping every production get the most from the day. This is a great value film and studio space for hire in central London. Both our studios are available as dry hire. You can bring in your own crew, equipment and catering – we will do our best to accommodate most requests. 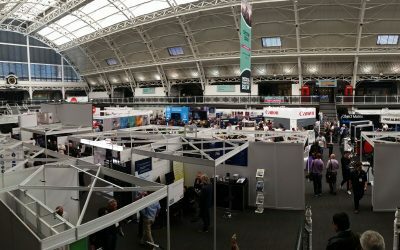 We can also provide a wide range of production services – click any of the links here to find out more. Not quite sure what you will need? Call us and discuss. If we can’t help you we will probably be able to point you in the right direction. 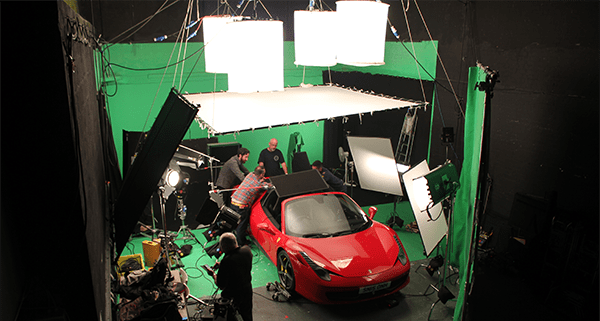 Flexible Multi-Purpose Film and Video Filming Studios – London. All Prices are subject to VAT at the prevailing rate at time of invoicing. Repainting to white – from £350. 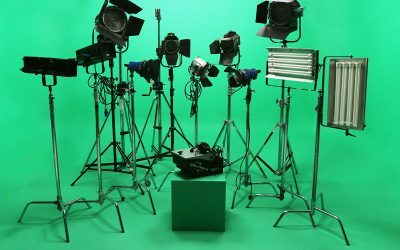 If your lighting requirements aren’t satisfied by these packages, we can also hire in lights for you from one of our reliable lighting and equipment hire companies. Just send us your requirements and we’ll get you a quote. 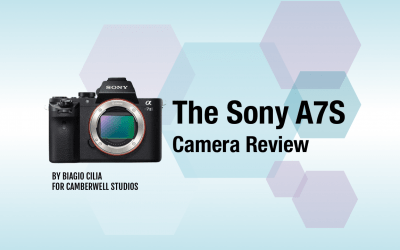 Are you looking for a Camera Operator or do you need a Sound Engineer? Then look at our Crew page to see what we can offer you.